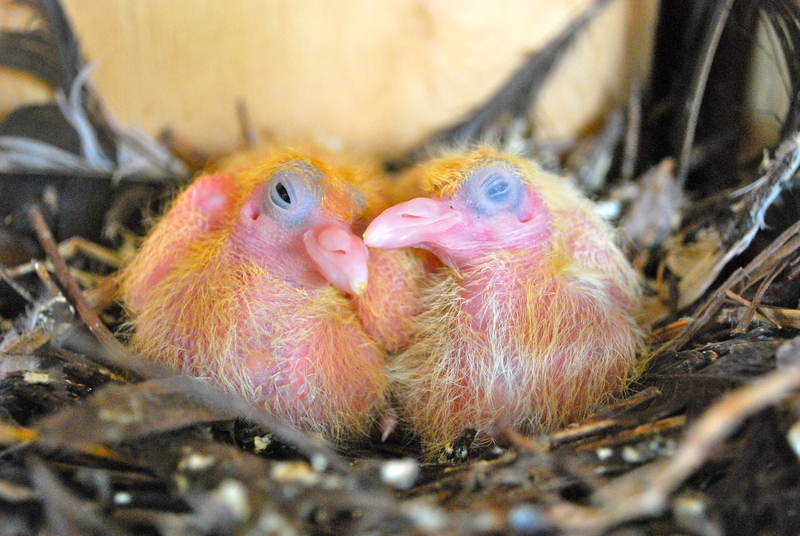 Here are the first pair of pure white squabs to be born here, they’re about 4-5 days old now. Aren’t they cute? I like that they look like they’re smiling. 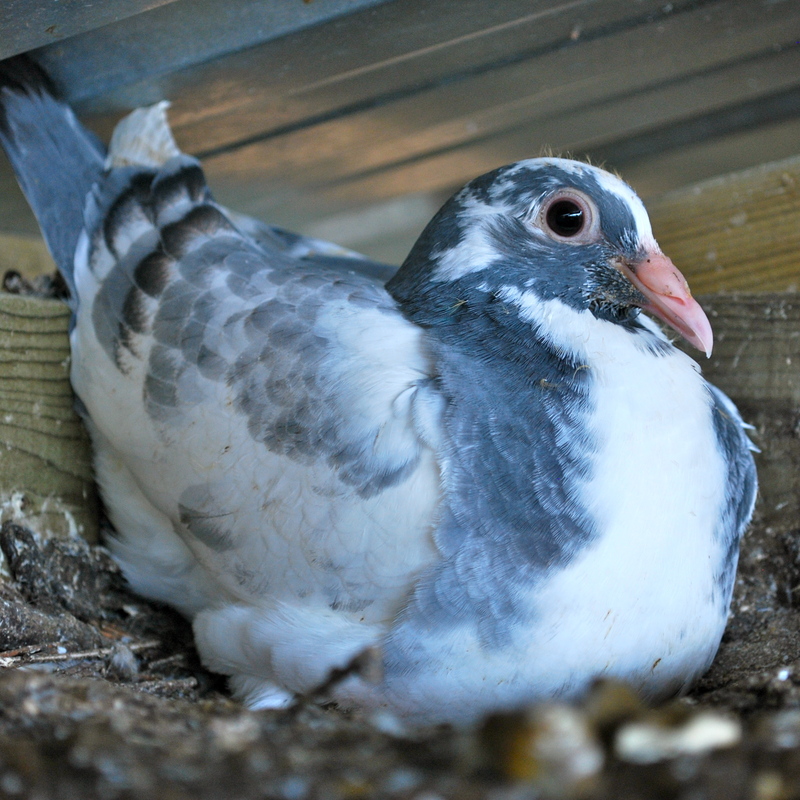 And here’s the first squab born here at about one month old. He’s finally venturing out of his corner to look for food himself but still getting regular meals from dad. He has a pure white mother and a blue check sire. Finally a shot of one of my white hens on her eggs, guarding her nest from my approach. They don’t budge easily when they’re incubating. So fluffy and fierce. 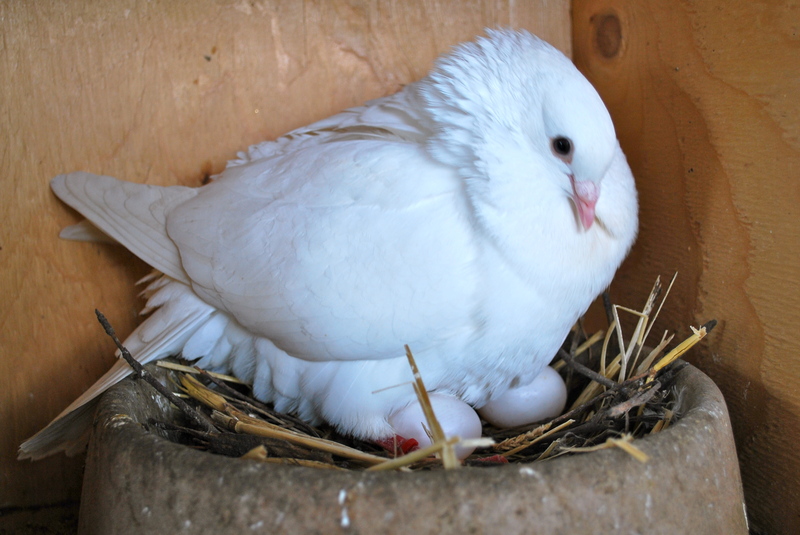 This entry was posted in homing pigeons and tagged white doves, white homing pigeon squabs. Bookmark the permalink.